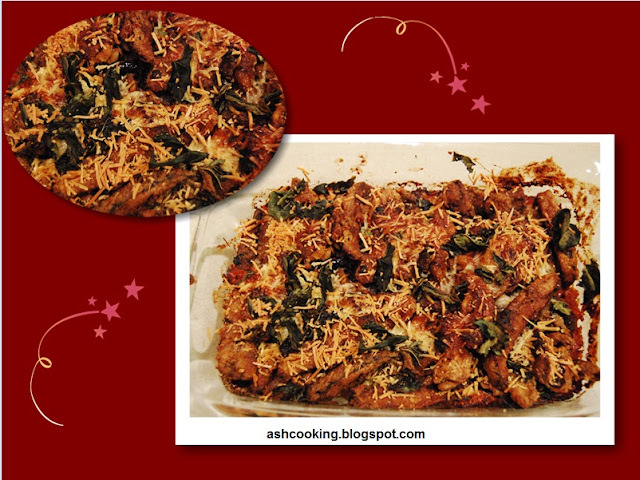 Eggplant Parmesan is an Italian delicacy cooked with eggplant, mozzarella, parmesan and basil leaves tossed together. However, in my preparation I gave mozzarella cheese a deliberate miss for health reasons. But if you love cheesy eggplant parmesan, then add mozzarella cheese alternating with parmesan cheese. It would increase the taste manifold. 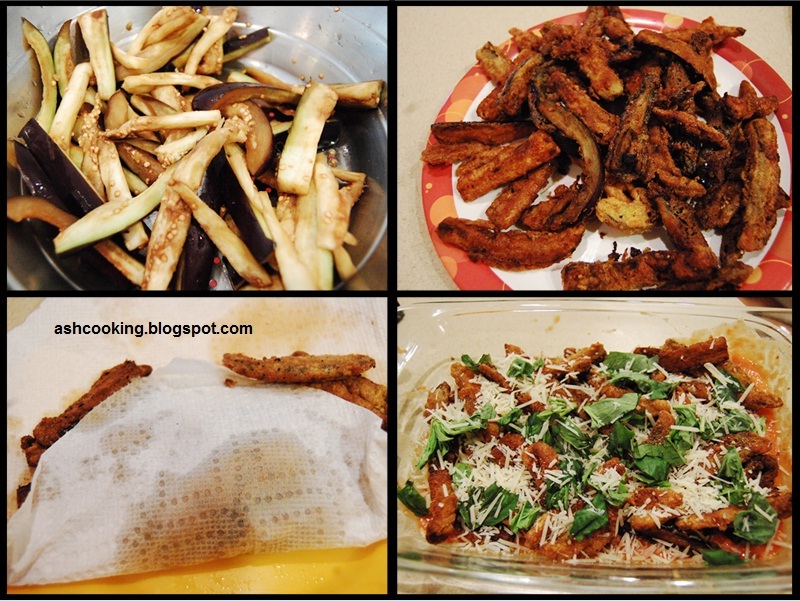 1) Shift the eggplants into a colander and rub salt on them. Place the colander on a bowl and let the black juice of eggplants drain gradually. Let them sit for an hour or so for draining. 2) Combine all-purpose flour and breadcrumbs. About this time, you may add a bit of seasoning like salt, chilli flakes or black pepper powder into this flour mixture. Coat the eggplants with this flour mixture before dipping them in eggs and then deep frying. Once they are deep fried, with the use of a napkin or paper towels drain the excess oil. 4) Preheat the oven to 180 °C or 350 °F. Now in a glass baking pan, arrange a bed placing tomato sauce followed by 1/2 of the fried eggplants, cheese and basil leaves. Sprinkle salt, black pepper powder and nutmeg powder. Again pour tomato sauce followed by aforementioned ingredients. Don't forget to sprinkle the spices once a layer is formed. This way you can make 2-3 layers. Just remember cheese should be on the top of each layer. Hey Shilpa, thanks that you like it. It not only looks tempting, it tastes delicious too.